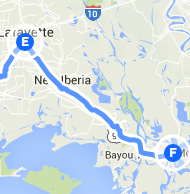 Trip Log – Day 241 – Lafayette, LA to Morgan City, LA | How Will We Live Tomorrow? I slept in a craftsman-style studio with a tin roof adjacent to a woodworking shop last night. Yesterday’s rain ended but gales of wind continued throughout the night, dropping branches on the roof, blowing the shop door open and slamming it shut. My dreams were the sound track of a Grade B horror movie. I got turned around several times trying to get out of Lafayette, but eventually found US 90, which had a frontage road just for me! Within a few miles I connected to LA Highway 182. I didn’t mind the cool morning and heavy clouds. The strong wind had my back. As the day progressed the clouds broke and shadows spread across Louisiana. The wind remained my friend. I made excellent time, which I used for more stops along the way. 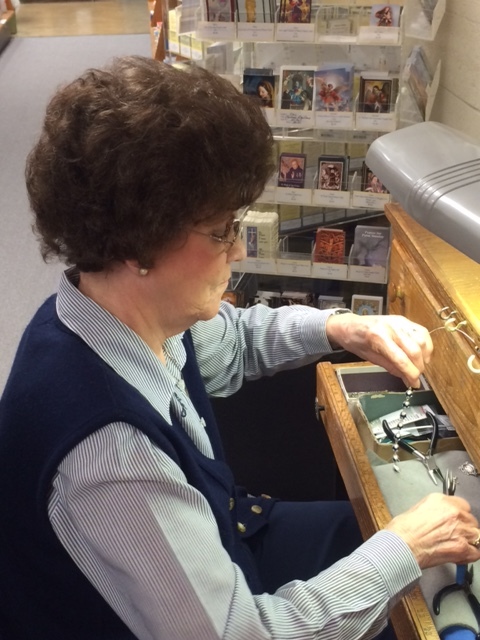 In New Iberia I visited Rosary House, where devout women assemble rosaries by hand. Top of the line jewelry grade rosaries cost over $350, but this superstore of all things Catholic also sells less expensive lines, including rosary bracelets and rosary rings, for as little as 95 cents. 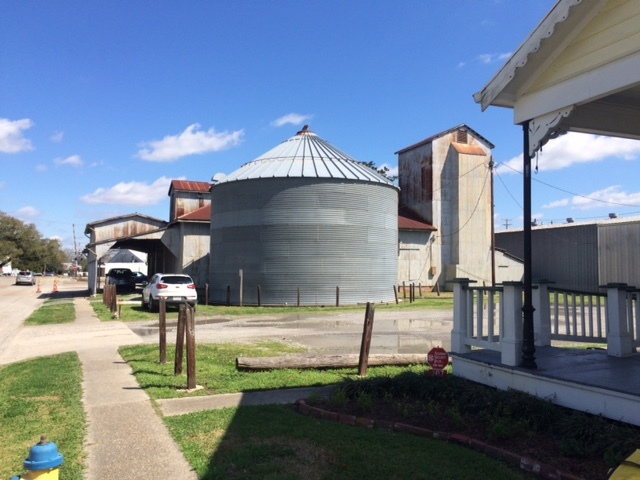 Since I’ve been doing what Catholic ladies tell me since I was a boy, I headed across the road when they told me to visit Konrico, the oldest rice mill in the United States. Wendy gives a terrific four dollar tour of the three-story cypress and galvanized steel plant that’s been hulling and polishing rice since 1912. 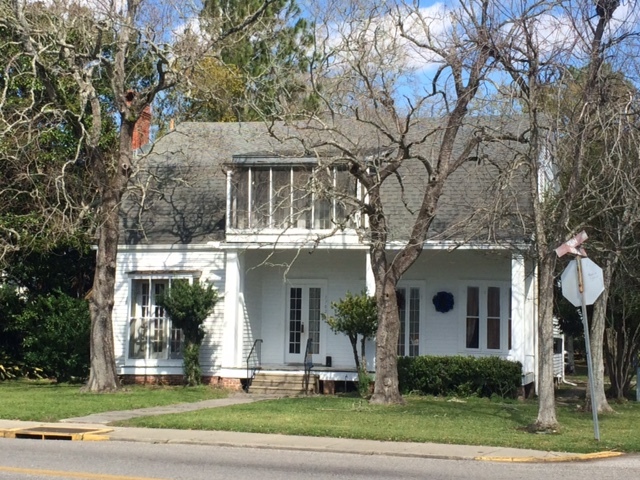 I was enchanted by Jeanerette’s domestic architecture. 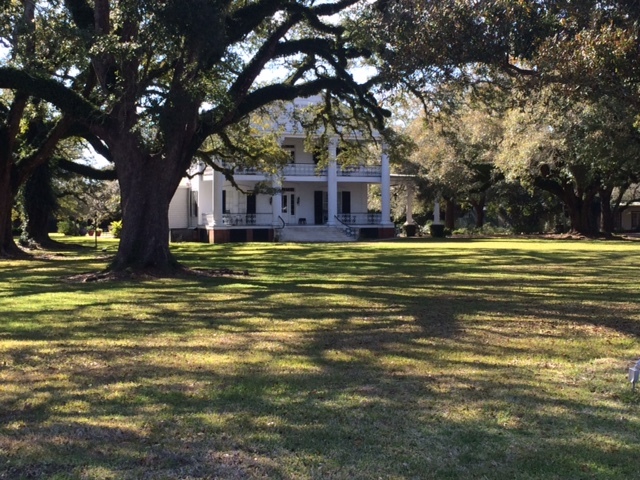 The further south I went along Bayou Teche, the more grand homes lined the river. 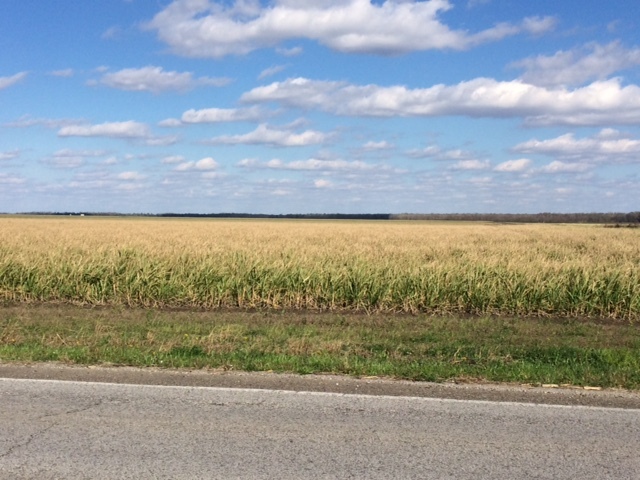 I passed fields of waving sugar cane, not unlike the fields I encountered in North Dakota in June. Just sweeter. The last ten miles of my route was mostly industrial. 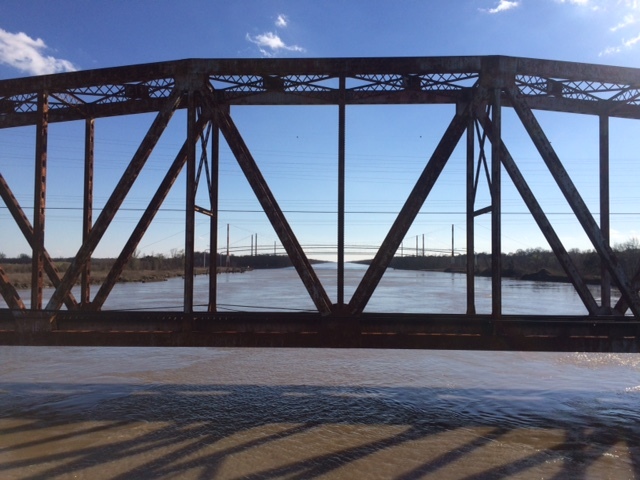 Morgan City is an oil and fishing industry town without strong Cajun roots. I was surprised and pleased to see the German couple I met in Marathon, TX at an intersection, making their way toward New Orleans at about my same speed. The Red Roof Inn in Morgan City is newly renovated; a great deal for $40 a night. And there’s a decent barbeque place with notable baked beans only half a block away. I appreciate the Cajun food I’ve tasted the last few days, but don’t think its going to become a new favorite cuisine. 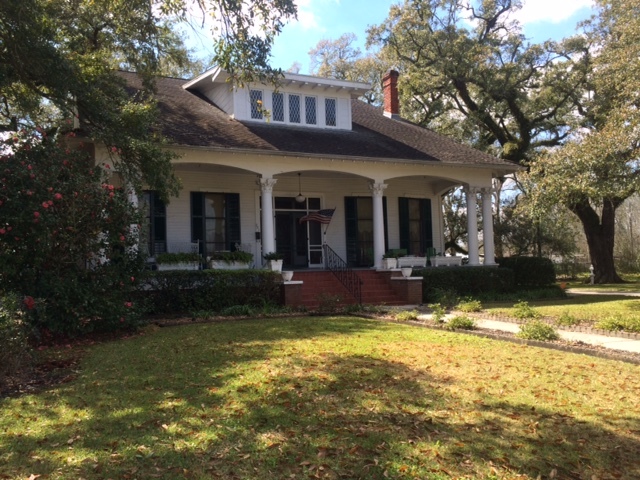 This entry was posted in Bicycle Trip Log and tagged Bayou Teche, Jeanerette LA, Konrico, LA Hwy 182, Lafayette LA, Morgan City LA, New Iberia LA, Rosary House. Bookmark the permalink.